Can you decode the hidden combination? 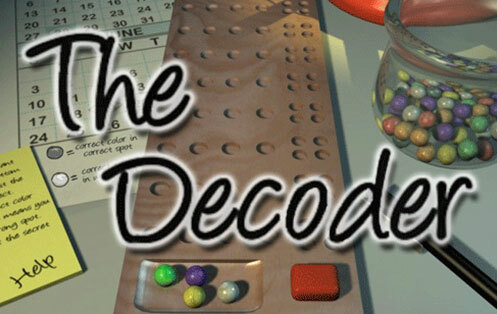 In this puzzle game of sleuthing, use process-of elimination to figure out the correct combination of colored marbles. You must figure out the combination before you run out of guesses and time! 10 levels of difficulty! Find It 5 minutes to find as many items as possible! Find-O-Vision Don't just watch TV, Play TV! Flip Out A classic matching game with a new twist not like any other. Keno You're playing for fun without ever spending a dime!